As a thank you for your membership, the credit union offers discounts on a variety of products and services. Our members receive a $20 discount on a comprehensive 600-Point used car inspection. This Mobile Pre-Purchase Inspection is performed by an ASE Master Technician & Frame Specialist. Make sure you know the 1-2-3 Steps when purchasing any used vehicle. Then, just call Auto P. I. at 512-454-5999 to set up your inspection and give the coupon code for your $20 discount. More and more members are taking advantage of the tax question and preparation services offered by Cube Tax Services. These services are free for basic questions and a nominal charge is applied for more detailed preparation work. It is a huge savings over the normal tax preparation rates. Cube Tax is available year round to answer questions for you. Member’s Roadside Advantage was created exclusively for credit union members to help you save on a wide range of roadside assistance services and other travel benefits. Wherever the road leads you, you and your family can enjoy peace of mind with fast, friendly roadside assistance. Whether it's a flat tire, dead battery, lockout or other roadside issue – you are covered. Enroll today! This unique program allows credit union members to save money on numerous products and service by using their VISA credit card or check card. Start Saving Now ! Use your VISA card and enjoy savings on the brands you trust. Greater Texas and Aggieland Credit Union is pleased to be affiliated with the Texas Consumer Council , a nonprofit consumer education organization dedicated to helping Texans purchase safe, reliable products and services from reputable manufacturers. When you join TXCC through our credit union, there is no cost to you because the credit union automatically pays your lifetime membership dues. By joining TXCC, you are eligible to join our credit union. Join the Texas Consumer Council today! The special promo code is: GTFCU. If you have any questions please call the Texas Consumer Council at toll free 1-800-544-0414. Texas Legal is a nonprofit organization established by the State Bar of Texas in 1972 to offer legal coverage at an affordable rate. Coverage: As a member of the credit union, you qualify for a group plan with Texas Legal. Their Select and Preferred plans offer coverage for matters ranging from simple advice to complex legal matters. Enrollment: The cost for Greater Texas Federal Credit Union members is $10 for the Select and $20 for the Preferred plan per month for individual coverage and $15 for the Select and $30 for the Preferred plan per month for family coverage. Payment is made through convenient monthly automatic bank draft. To enroll or for further information contact the Texas Legal at 1-800-252-9346, members@texaslegal.org or visit them online . As a member of the credit union you can purchase tickets to several Texas Theme parks at a huge discount. 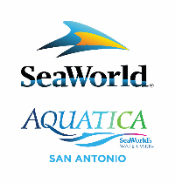 We offer discounts to Six Flags Over Texas and Hurricane Harbor in Arlington, Sea World in San Antonio, Six Flags Fiesta Texas in San Antonio, and Schlitterbahn tickets. All tickets can be purchased online and instantly printed for use. Click on the logos below to purchase your tickets. Click on the logos below to purchase your tickets. Credit union members who transfer into the program receive a $100 annual loyalty reward on their 12-month anniversary of transferring into the Cash Reward program. You trust Greater Texas to provide you and your family with quality products and services to meet your financial needs. We've joined with a dedicated team of insurance professionals to bring you TruStage Insurance Programs. TruStage Insurance Programs are the coverage solution preferred by credit unions and their members. Visit the Insurance page to learn more! © TruStage, 2015. All Rights Reserved. TruStage™ is a marketing brand used to identify products offered through CMFG Life Insurance Company and programs offered through CMFG Life insurance agencies to credit union members. TruStage™ Auto and Home Insurance program is offered by TruStage Insurance Agency, LLC and issued by leading insurance companies. Discounts are not available in all states and discounts vary by state. The insurance offered is not a deposit and is not federally insured. This coverage is not sold or guaranteed by your credit union. This service is brought to you by Turbo Tax in mid January each year for a nominal fee. Watch our home page and your statement for more details.